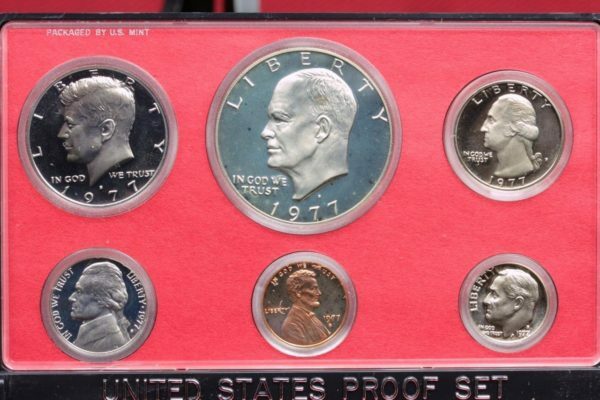 Here we have a 1977 United States Proof Set. 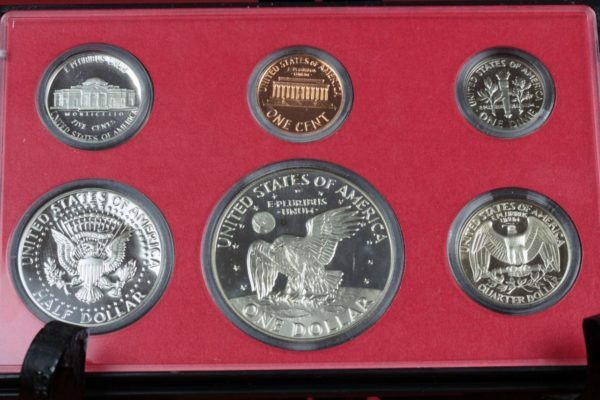 Included in this special issue U.S. Mint proof set is the Kennedy Half Dollar, Washington Quarter, Roosevelt Dime, Jefferson Nickel, Lincoln Cent, and an Eisenhower commemorative one dollar coin. 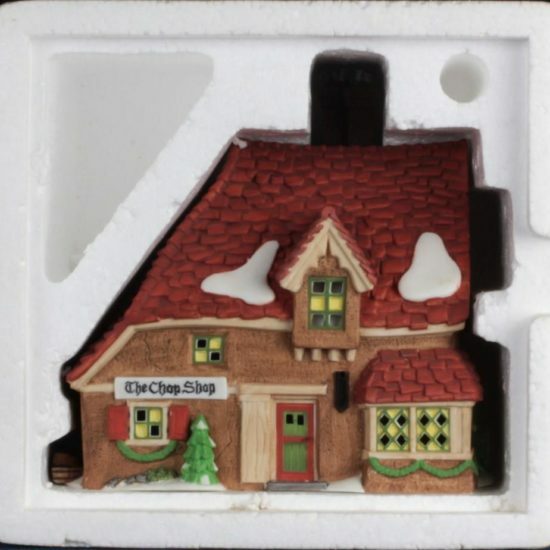 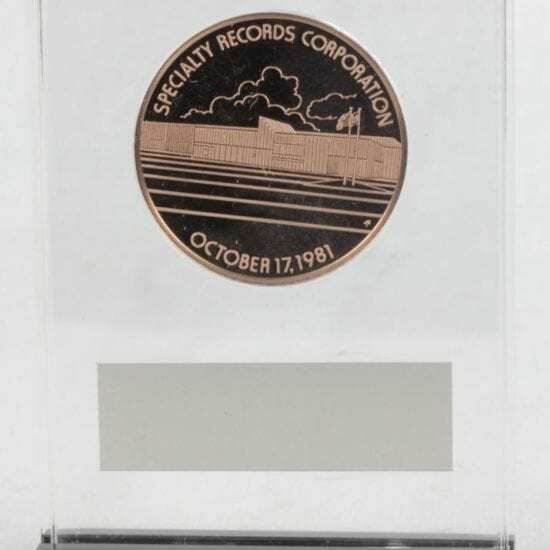 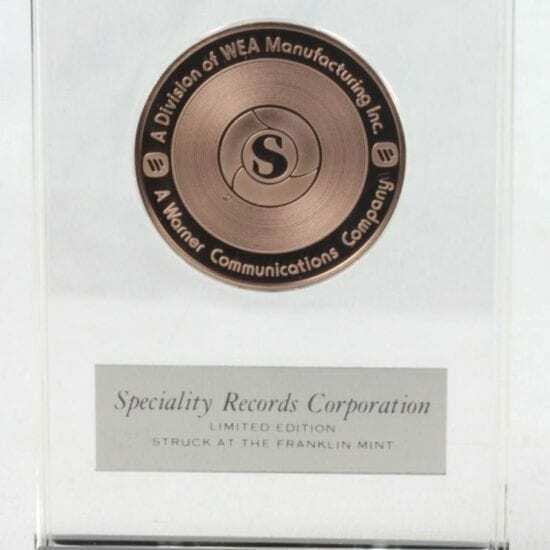 This previously owned Proof Set is in its original packaging, slabbed in a plastic display case by the U.S. Mint.